For the third consecutive year, Digital West has successfully completed a SOC 2 Type 2 examination of the security and availability of our colocation services. The exam was conducted by the independent firm, 360 Advanced, in accordance with standards put forth by the American Institute of Certified Public Accountants (AICPA). They conducted an evaluation of the controls Digital West has in place to protect our clients’ data security and availability. Security - The system is protected against unauthorized access (both physical and logical). Digital West has staff on site 24 hours a day, 7 days a week and utilizes advanced video surveillance and fire suppression/detection systems. Availability - The system is available for operation and use as committed or agreed. 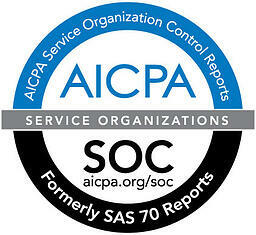 In other words, SOC 2 certified organizations adhere to their contracts and service level agreements. What are the risks of a data center that is not SOC 2 certified? To put it simply, undergoing an organization control examination like SOC 2 adds a solid foundation of trust between the data center provider (i.e., Digital West) and client because an outside organization keeps the provider accountable to its promises of security and reliability. If the data center provider is not held accountable, then it’s difficult to really know whether or not your information is truly safe and secure. Digital West is fully dedicated to going to every measure to ensure a secure and confidential environment to store your mission-critical data. To learn whether colocation is right for you, download our free Smart Paper.